Boeheim’s Army general manager Kevin Belbey calls in to discuss the team making The Basketball Tournament Final Four with Wes Cheng on The Juice on the Cuse Podcast hosted by SNY.tv. 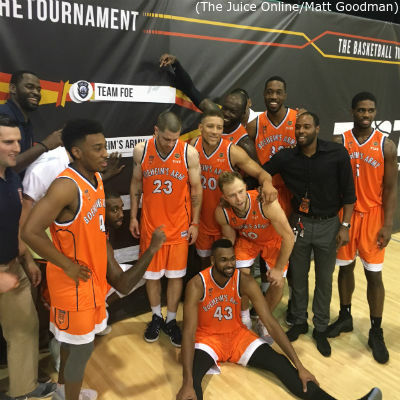 The Juice Online Senior Columnist Matt Dagostino then calls in to discuss Orange alum in the NBA Summer Leagues. 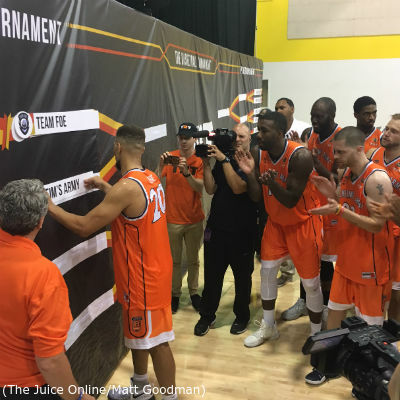 Wes Cheng: Boeheim’s Army rallied from a 16-point halftime deficit to defeat Team FOE 72-67 to head to the Final Four. I still have no idea how you guys did it, so how did you do it? 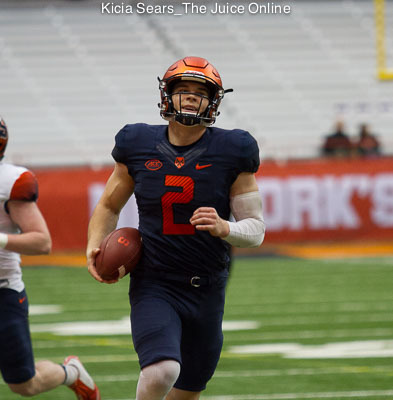 Kevin Belbey: Our guys, they didn’t give up. Ryan Blackwell did a great job of putting five guys on the floor, who maybe not our five most talented guys, well maybe they are, but put five guys that weren’t going to give up and play as hard as possible. Credit to him for the adjustments and credit to our guys for continuing to fight, little by little. Not to be too cheesy here, but the crowd really changed the game. It was a packed house at LIU Brooklyn, a much smaller gym than the Carrier Dome, so, it got very, very loud in there. I don’t think Team FOE expected us to start making shots. I certainly know they didn’t expect that crowd and that gym to get so loud. It 100 percent rattled them and changed the game for us.